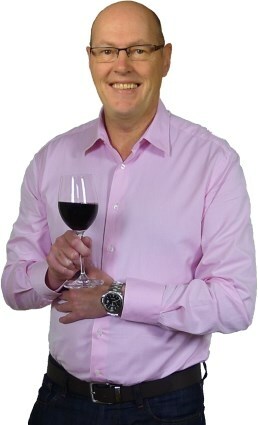 Wine writer Tom Cannavan publishes wine-pages.com, and organises fabulous Festivals of Wine across the UK. Tom is a true pioneer of wine on the Internet, launching wine-pages.com back in 1995. 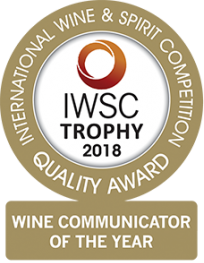 Having previously picked up awards including Louis Roederer International Online Wine Writer of the Year and the Portuguese wine industry’s award as Wine Journalist of the Year, the latest trophy on his shelf is the big one: International Wine Communicator of the Year 2018. Tom is also a popular broadcaster on TV and radio (see below). Having graduated from Glasgow School of Art, Tom had a spell as a professional musician, and still plays with his band Restricted Code. He then began a career as a teacher, but his passion for wine burned brightly and he began writing for magazines and newspapers in the early 1990s. By 2002 he had made the switch to full-time wine writer, broadcaster and wine judge. Having created an annual consumer wine festival in his native Glasgow in 2002, Tom has since expanded his unique and hugely successful formula to London and Edinburgh too. The festival-of-wine.com features the cream of the world’s winemakers and UK’s wine merchants, attracting consumers who are serious about wine, but not at all stuffy. Tom has carved a reputation in print too, writing for Decanter, World of Fine Wine, The Financial Times and The Independent amongst others. Tom has written or contributed to 10 wine books, including The Wine Report, the Which? Wine Guide and the Good Web Guide to Wine. An experienced wine judge, Tom has judged some of the world’s most prestigious wine competitions on four continents, judging in Australia, Chile, Argentina, South Africa, Italy, France, Germany, Georgia, Portugal and the UK. He has been Panel Chairman at competitions including The International Wine Challenge in London and Radici Competition in Italy. Acclaimed for his knowledge and effortless style, Tom is regularly called upon to present masterclasses to the wine trade across the UK, and as a public speaker he hosts fun wine tastings for corporate and private clients. Having made 100+ live broadcasts for Scottish Television’s magazine show, The Hour, Tom is an experienced and skilled broadcaster. He is also resident wine expert on BBC Radio Scotland. As Scotland’s most recognised wine authority, Tom’s expertise and enthusiasm is widely acknowledged, whether presenting the finest wines to professional audiences, or in his TV and radio work. Broadcasting from the studio, tasting wines with celebrity guests or filing reports from the field, Tom always enjoys the chance to communicate his passion for wine. Watch this taster, and see Tom’s YouTube channel.